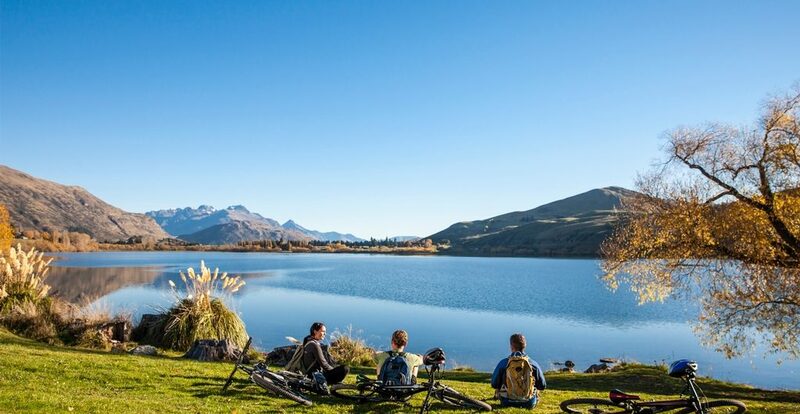 Check out the Top 3 recommended rides for for those wanting to explore Queenstown by mountain bike. 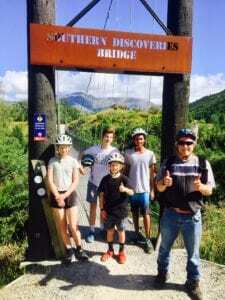 Tours include shuttle transport and allow you to see the real highlight of Queenstown by bike. 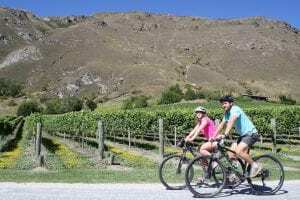 Often taking in Arrowtown, a small historic gold mining town, as well as the Gibbston Wine Valley, a bike tour is your all inclusive package and the easy way to do it all in style. Tours can be split based on your focus for the day and are grouped into Bike the Wineries Tours and Supported Tours. tours are more ride focused, but often finish at a winery for an included tasting. The great thing about the supported tours is that you will have a driver and van dedicated to your group that will meet you along the trail, providing navigation tips, helping transport any excess gear, as well as providing some local knowledge. The van can also transport you through sections, allowing you to see the highlights of the trail. ⚡️ELECTRIC BIKE UPGRADES AVAILABLE ON ALL TOURS! Great for the “do it yourself” rider. Jump in the shuttle and be dropped into Arrowtown in the morning, explore the history of Arrowtown, before riding the 35km of trail back to Queenstown. This trip is best suited to those who are comfortable navigating their way along the trail independently and have a good level of mountain bike fitness. If you are a strong rider and make good time there is also the option to work in a winery stop and see the Kawarau Bungy – a 10km addition of riding to your day. The great thing about taking the shuttle in the morning and then riding back to Queenstown is that you have the freedom to manage your day at your own pace, with the only constraint being getting back to Queenstown before the shop closes at the end of the day. A trip with the freedom to make of it what you wish! Ride from the centre of town along the edge of the lake. 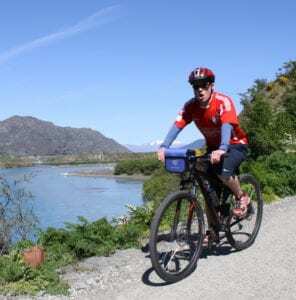 Simple to navigate, and the easiest mountain biking trail in Queenstown, this tack circumnavigates the Queenstown lake shore around the Frankton Arm and is great for riders of all abilities. Simply ride the trail until you feel you are half done and then spin around and ride back. Simply book a bike to be collected from our shop and you’re good to go! Map and helmet is included in your hire package. And remember, if you get super excited and want to ride all the way to a winery or to Arrowtown, just add a shuttle pick up to your booking. Previous postNew Website Is Live!!! Next postIt’s winter….don’t whine, wine ride!